Fall or Spring: What’s the Best Time for Air Conditioning Repair? What Does It Mean to Have the France Serviced? Servicing differs significantly from repairs, which are intended to address one specific problem with the furnace. Regular maintenance is more akin to a tune-up on your automobile: a chance for a skilled technician to look at the system, spot signs that trouble is coming down the road, and design a plan to address it before it causes a disruption in your service. A technician arrives at your house and gives the system a thorough looking-over: checking for signs of problems both big and small, and addressing them when found. If a problem is too small to merit a repair call–a clogged filter, say, or a component that’s loose in its housing–the technician can fix it immediately. If it requires more work, repairs can be scheduled–at your convenience, of course–and in many cases can be conducted immediately after the conclusion of regular maintenance. There are three specific advantages to regular furnace servicing, all of which will pay dividends over the long winter to come. Lower Operating Costs. Correcting little issues will improve the efficiency of the furnace, which means it won’t need to burn quite so much fuel to do its job. As a result, your heating bills won’t be quite so high as they would before maintenance and the individual furnace components won’t suffer quite so much wear and tear. A Jump on Repairs. Addressing repairs earlier instead of later means that you can deal with the repairs on your timetable instead of the problem’s. You can schedule repairs at the most convenient time for you instead of rushing around in the wake of an unexpected breakdown. In addition, the cost of repairs is usually lower, since the damage hasn’t had as much time to spread and affect more systems and components. A Longer Lifespan. When applied regularly over time, routine maintenance can extend the lifespan of your system. Individual components won’t suffer as much wear and tear–lasting longer before breaking down–and the system as a whole will continue to function as you anticipate for months or even years after the expiration of the warranty. 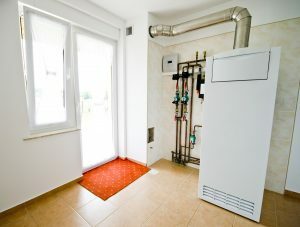 Considering how expensive a replacement furnace can be, the results can save you a great deal of money, as well as extend the value of your current furnace for months or even years after the warranty expires. For quality furnace maintenance in the Avon, OH area this fall, call the professionals at Westland Heating & Air Conditioning today to schedule a session!